Dr. Sean Foley is an Associate Professor of History at Middle Tennessee State University (USA) and specializes in the Middle East, Southeast Asia, and religious and political trends in the broader Islamic world. Previously, he taught at Georgetown University (USA), where he earned an M.A. in Arab Studies in 2000 and a Ph.D. in History in 2005. He graduated with a B.A. in History with honors and distinction from UC Berkeley (USA) in 1996. He has held Fulbright fellowships with Damascus University (Syria), Istanbul University (Turkey), and the International Islamic University Malaysia (Malaysia). He has also done extensive research throughout Saudi Arabia and was based at King Saud University from April 2013 until the end of January 2014. From June 2014 until August 2014, he was a Visiting Fellow at the Centre for Arab and Islamic Studies, Research School of Social Sciences at the Australian National University (Australia). Dr. Foley speaks Arabic and Bahasa Malaysian. He has published widely on the arts, Islamic history, Middle East and Gulf politics, smoking, Southeast Asia, Sufism, and Muslims in American and European history. 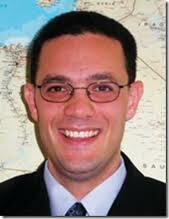 His first book, The Arab Gulf States: Beyond Oil and Islam, was published by Lynne Rienner Press in March 2010. His second book, Changing Saudi Arabia: Arts, Culture, and Society in the Kingdom, will be published by Lynne Rienner Press in early 2019. He has delivered over seventy papers to international conferences and to universities in China, Europe, India, the Middle East, North America, and Southeast Asia. In addition, he serves as an expert for the Middle East Institute (USA) and has contributed to The Atlantic, Australian Broadcasting Corporation Television, al-Jazeera.net, al-Jazeera English Television, The New Straits Times, The Tennessean, and Voice of America Television.